If your kid's Halloween costume calls for a painted face this year, take caution when considering the stock at your local Halloween store that's likely loaded with toxic ingredients. Instead make your own Halloween face paint, using two simple ingredients that will neither harm the planet or your precious little goblin. 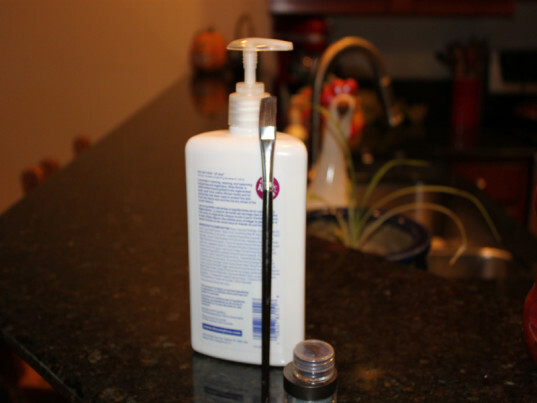 What's more, you probably have both of these ingredients in your cosmetic bag already. Read on to learn how to make a fun selection of face paints for fright night. Using nothing more than organic lotion and natural pigments [I used organic eye shadows], you can make all different colors of face paint. We were going for an Avatar look so we stuck to blues, purples and golds. 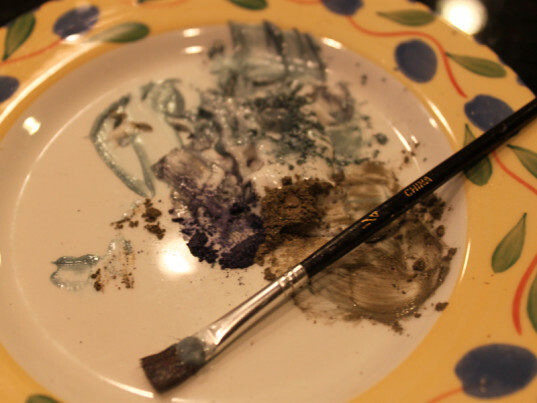 Place all of your colors on a plate so you have easy access to all of them while you paint. Using your finger, a sponge or a paint brush, start painting your child’s face. Once the face paint dries, it stays in place well, but it’s also easy to remove with water and a wash cloth. 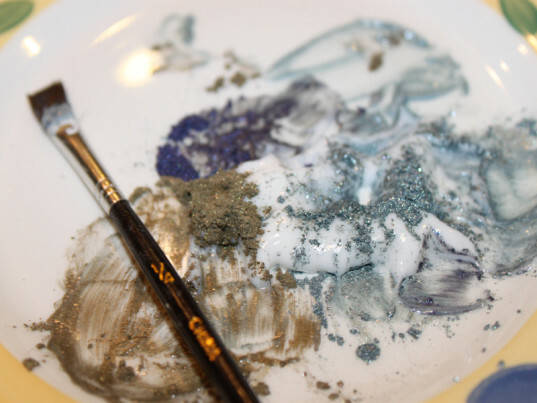 There’s no need to worry about the health of your child or the environment when using homemade face paint. 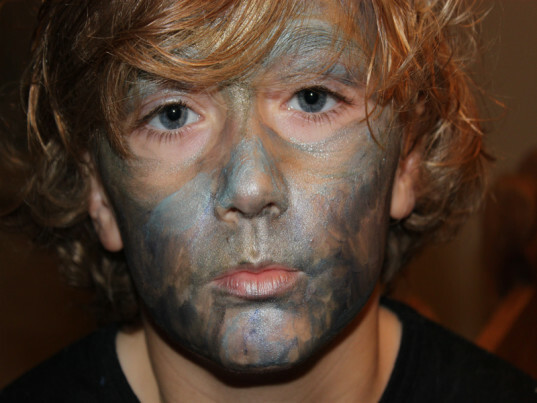 Amaze your friends and family with your child’s homemade face paint. Everyone will want the recipe. Using nothing more than organic lotion and natural pigments [these are eye shadows], you can make all different colors of face paint. We were going for an Avatar look so we stuck to blues, purples and golds. 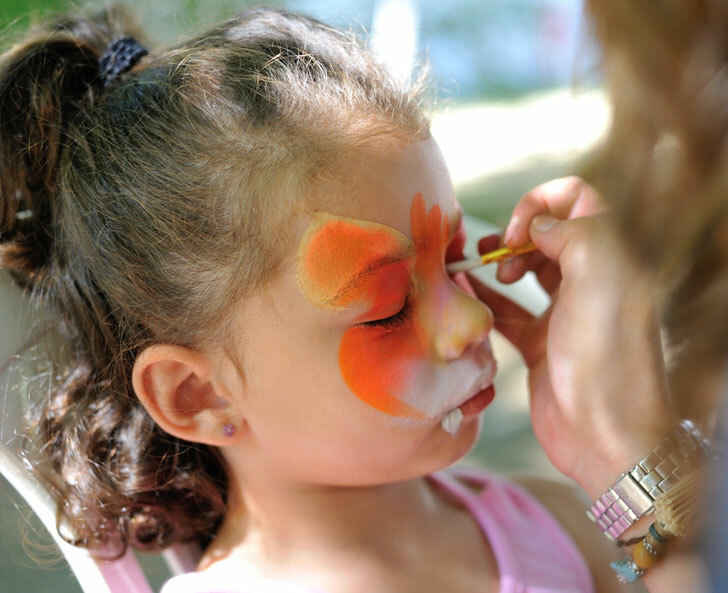 Using your finger, a sponge or a paint brush, start painting your child's face. Once the face paint dries, it stays in place well, but it's also easy to remove with water and a wash cloth. 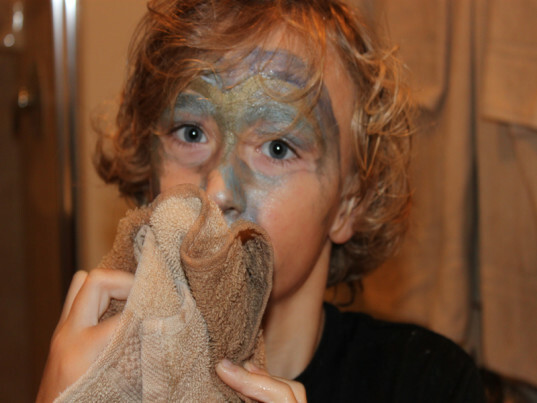 There's no need to worry about the health of your child or the environment when using homemade face paint. 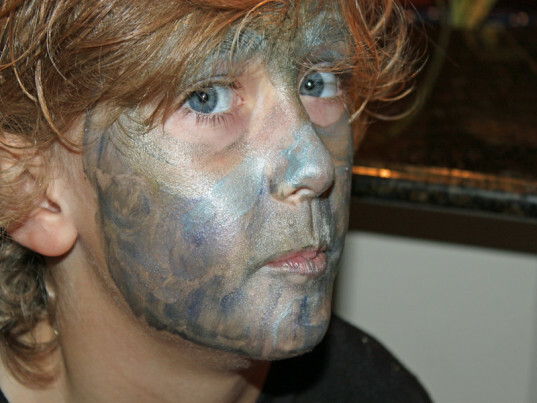 Amaze your friends and family with your child's homemade face paint. Everyone will want the recipe.